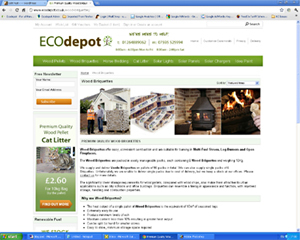 I may have mentioned before but one of the projects we’ve been working on in 2011 is to launch our own online ECO shop selling all manner of Eco Products, www.ecodepot.co.uk. I’m proud to announce after a lot of hard work we have launched the site to the public. Reducing the amount of energy we consume is a passion of ours, not just because of the obvious benefits to the planet, but also the increasing cost of electricity in the UK, not to mention Gas and Oil prices. We came up with the idea of an eco shop when we got to the end of our house build and realised we had accrued a fair bit of knowledge about renewable energy and how one goes about working through the minefield of information out there. To qualify for inclusion on the site a product must be either organic, energy saving, money saving and/or significantly reduce our carbon footprint. From the comments we’re received already it’s clear there are a lot of people out there that want to use natural forms of energy to to reduce their reliance on the utilities and protect against future price increases. 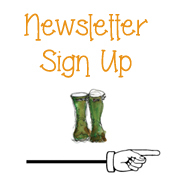 Along with the site we’re going to launch the Ecodepot blog to help those that are looking to start their own projects. It’s early days in the life of the site, but we’re making progress. In the next week we will be adding a range of fantastic energy saving products that you will find in any home, but these are 88% more efficient. They should be on the site on Monday next week so please do take a look as I believe they will be in every home this time next year. We’re also going to be publishing videos of projects that you can follow and we’ll include the costs of the products we use and the associated benefits, so you can decide if it’s worth it for you. 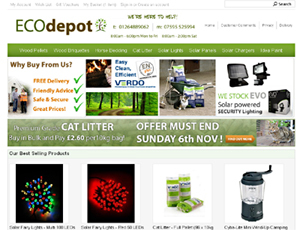 For more details visit www.ecodepot.co.uk. Now I’m off to the Polytunnel for a few tomatoes, probably the last of the season.